“I brought some friends!” As volunteer Rob Gubas joined the crew assembled at our gathering spot, he introduced a father and son duo. “Hi, we’re Oscar 3 & 4,” said the son, pointing to his Dad, then himself. “Welcome to parkrun! How do you know Rob?” asked Co-Event Director, Kortney Thoma. With a grin on his face, Rob interjected, “Oh, we just met in the parking lot!” Everyone who had watched them walk from the parking lot would have believed that they were, indeed, long-time friends. We all laughed and the conversation continued. A little while later after more people had arrived, I heard “Hey, I know you!” and looked over to see another parkrunner walking toward the Oscars. “We go to the same church and you’re the one who…” I didn’t hear the end of the sentence, but later found out there was some friendly banter about an incident involving the church pastor and some kind of water sport. After the event, as the duo was leaving, Oscar #4 waved goodbye to me and shouted “Ask Jon about soccer!” Over breakfast at the Whistle Stop Ale House, Jon (my husband) shared that he and Oscar #4 had been talking about local soccer leagues and opportunities to play on Friday nights. These types of interactions are typical at parkrun. 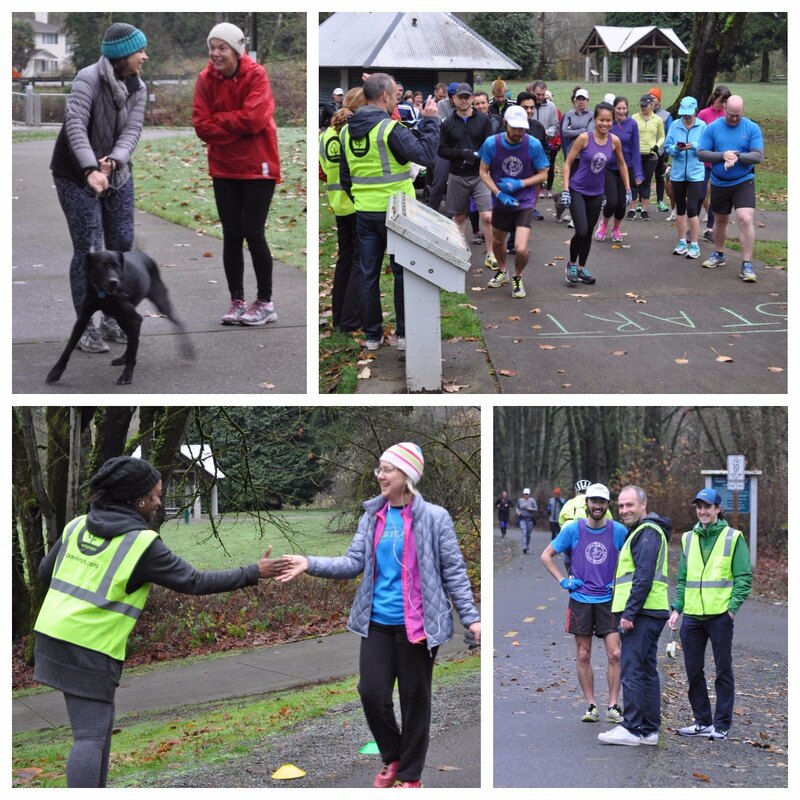 People are friendly and everyone who shows up is an important part of the local parkrun community. You see people you know, meet people who may become friends, or at the very least get to know your fellow parkrunners as you high-five each other on the course or chat after the event. Yes, parkrun is about running (and walking) but it’s so much more! 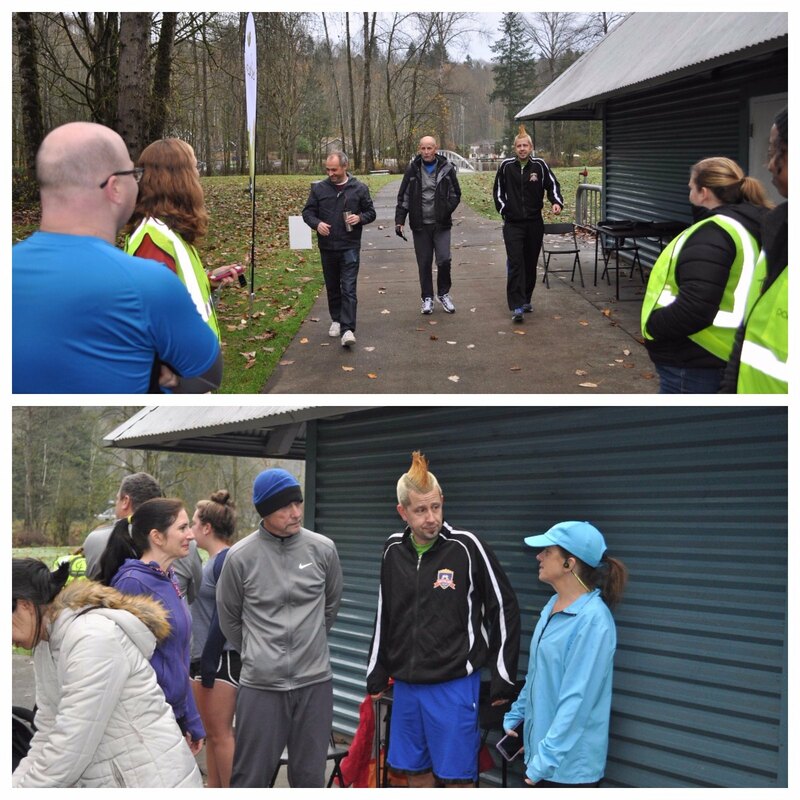 parkrun builds community and it’s exciting to see it happen firsthand. Now, on to the stats! This week we welcomed over 40 participants and volunteers, 27 of whom finished the course. 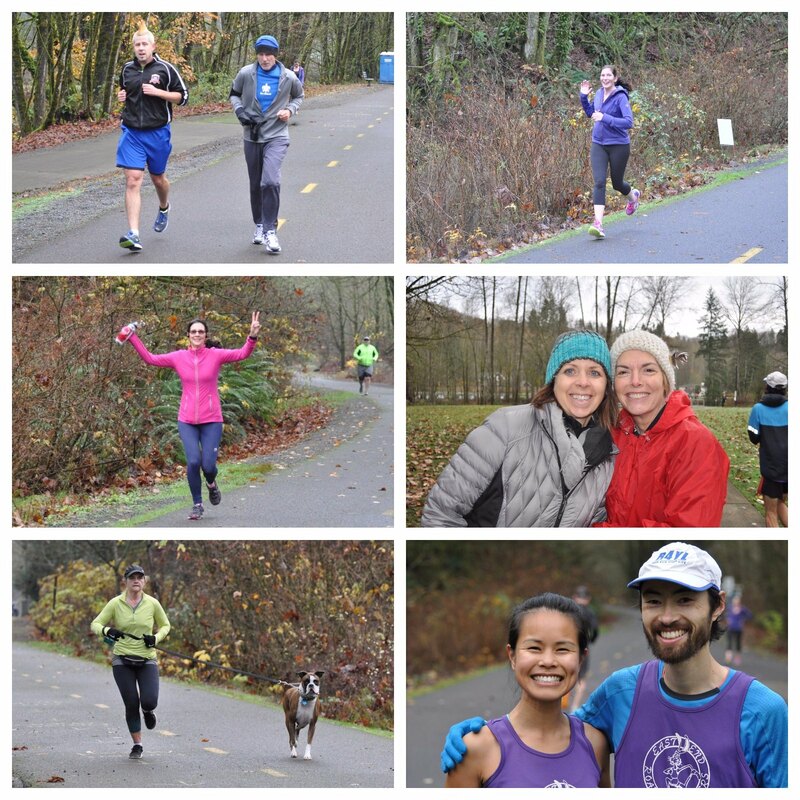 There were 12 first-time parkrunners (Oscar Myre #3 and #4, Rick O’Brien, Deb O’Connell, Julie Tull, Susan Oord, Carly and Bob Rees, Sydney, Rachel and Chris Miller, Tina Vickery and Kaitlan McCarthy), 2 parkrun veteran tourists currently living in Vancouver, (Seth and Tess Healey) and 10 participants who can boast perfect attendance (2 for 2) at Renton parkrun! 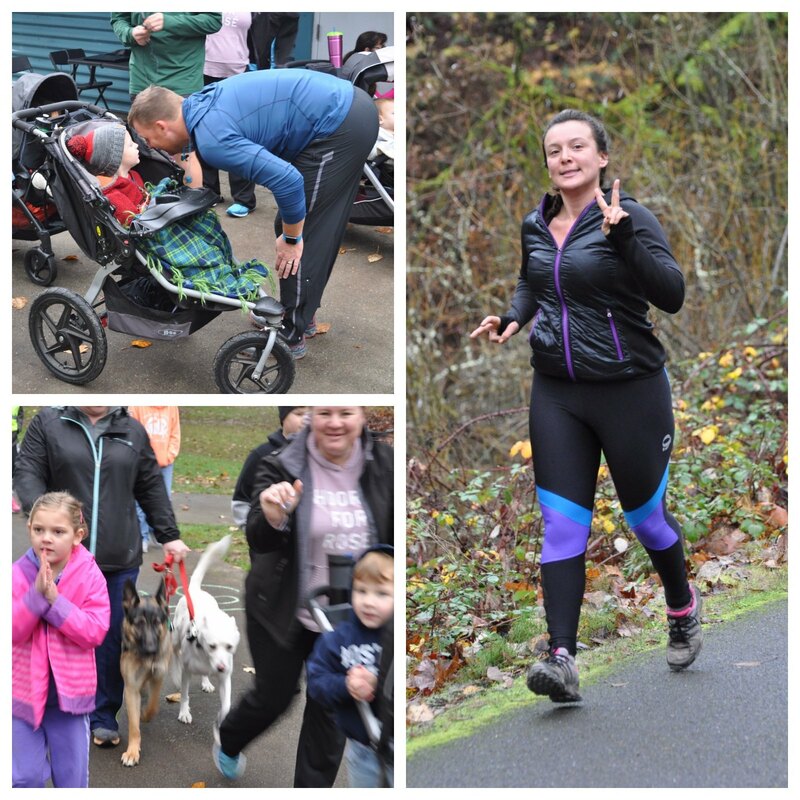 The remaining 3, if you’re tallying, are King County residents Dorian Colling, Jeremy Moschner and Chris Miller, who are excited to be parkrunning locally after having previously participated in other parts of the world. Russell Kowalinski, Azhar Basit, Jamie Parido and Cathie Knox-Browning all had PBs (personal bests) this week. We were happy to welcome back Rick O’Brien, who participated in one of our trial runs, and he became “parkrun official” this week with a recorded time. Matt Wexler brought his wife and two adorable sons along this week. We’ve already dubbed the boys as future parkrunners, though they’ll be attending in a double-stroller for a while yet. Carly and Bob Rees win the unofficial “cutest couple on the course” award, running side by side the entire time. We met the Miller family (Chris, Rachel and Sydney) this week, who also stuck together on the trail and provided extra encouragement to their tired pup during the last half mile of the course. First time parkrunner Julie Tull expressed her enthusiasm for the opportunity to run with others on a regular basis. She is looking forward to finding someone else who likes to chat while running at a future event. 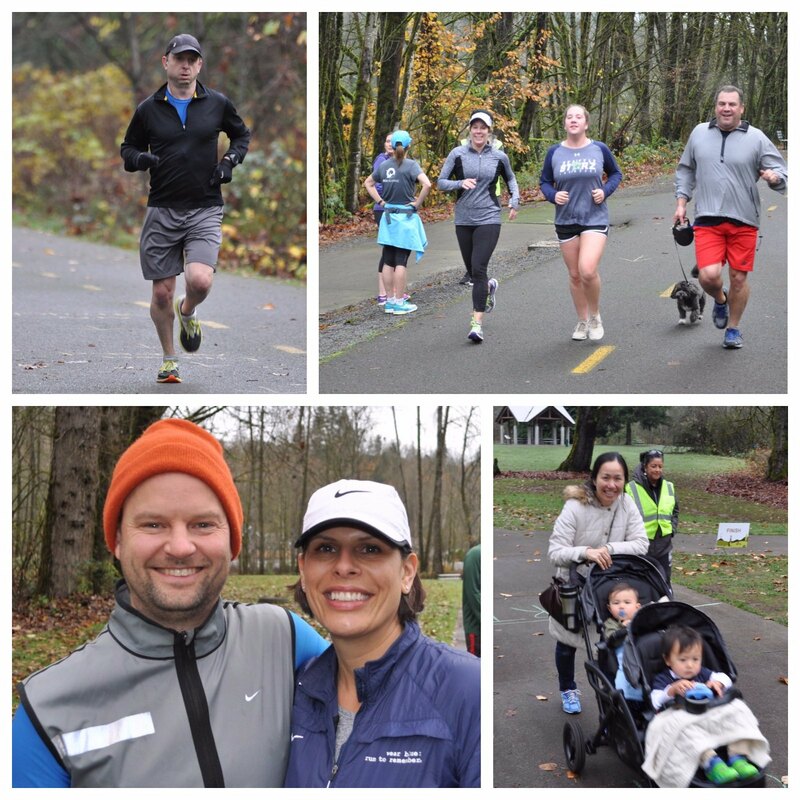 Thank you to our volunteers this week, many of whom are a part of the core team that worked to bring parkrun to the Seattle area. Cathy Martinez signed up to volunteer after she ran in our first event last weekend, and we were so excited to show her the ropes as a brightly-vested tail walker! Samantha King also volunteered after running last week, and encouraged runners at the first turn-around point as a marshal. Cam Kennedy, in her cute polar bear hat and mittens, cheered for everyone at the second turn-around as they headed down the last stretch of the course. Nathan Clifford pulled double-duty, first setting out the signs on the course, then handing out finishing tokens. Kortney Thoma and Rob Gubas clocked times for everyone and Molly Brown scanned and collected barcodes. Blake Kennedy took pictures this week (many of which are featured here, but check out the photo tab to see them all). Jon Burby helped with set-up and break-down and also cheered on participants as they came through the finish. I had the pleasure of being your run director this week. 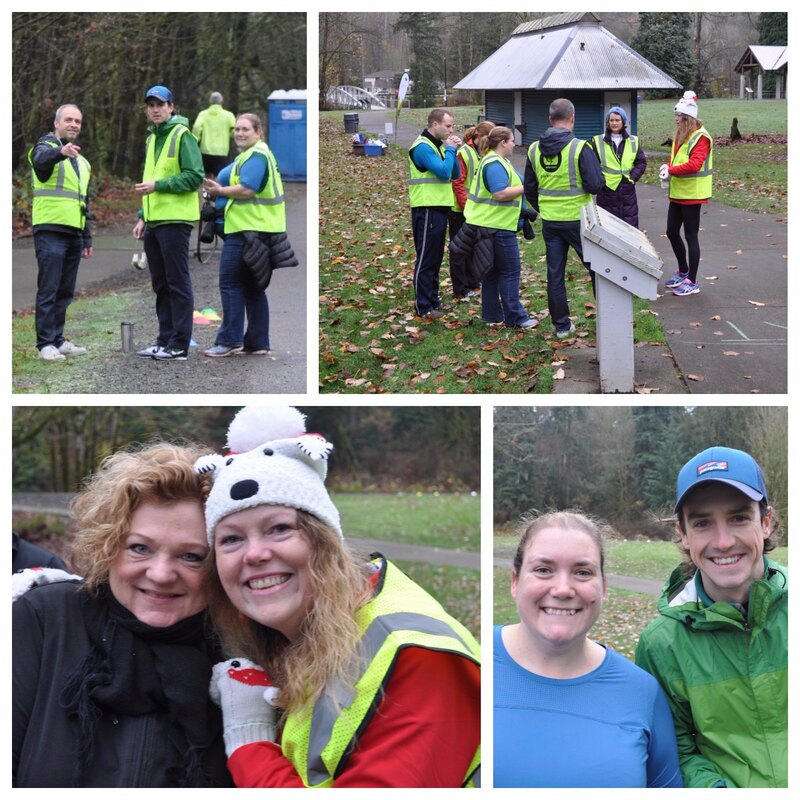 Join us next Saturday (and every Saturday) to help us build the parkrun community. We can’t do it without you! This entry was posted in The Notice Board by rentonoffice. Bookmark the permalink.